Sir Andrew Barron Murray (OBE) is a British professional tennis player from Scotland. This biography provides detailed information about his childhood, family, personal life, tennis career, achievements, etc. Sir Andrew Barron Murray (OBE) is a British professional tennis player from Scotland. He is one of the premier tennis players with three ‘Grand Slam’ titles, two ‘Men’s Singles Olympic Gold Medals’ and an ‘ATP World Tour Finals’ victory. He is a gifted player with a talent that combines speed, power and a light touch. 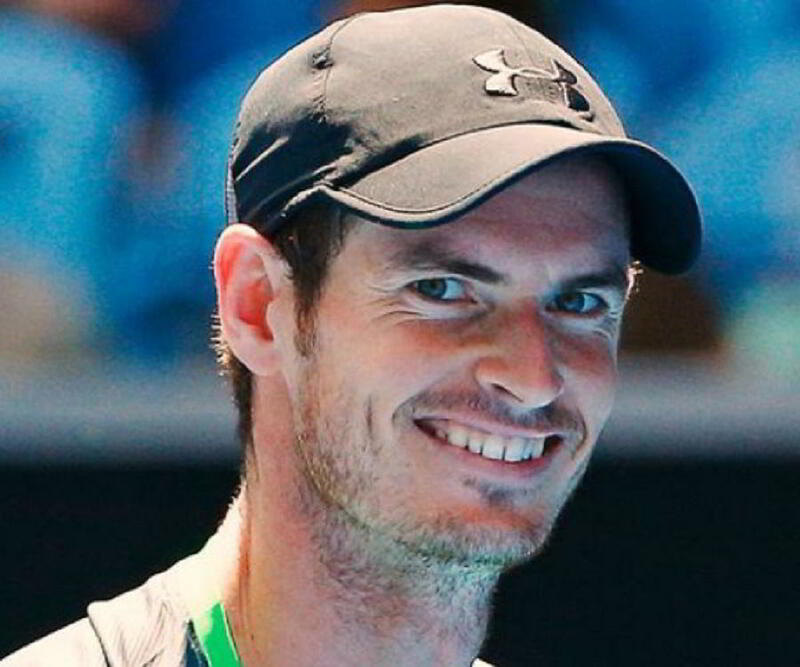 Born and raised in Scotland, he spent his teen years in Spain to train in clay-court tennis. At the age of 17, he became ‘World’s No. 1 Junior’ and the youngest player to represent Great Britain in ‘Davis Cup.’ He was the first British man, in more than 35 years, to win the ‘Grand Slam singles’ tournament and first British (since Fred Perry) to win more than one ‘Wimbledon Singles titles.’ He holds the record of being the only male tennis player to win two ‘Olympic Singles Gold Medals.’ He is founding member of ‘Malaria No More UK’ and is global ambassador for ‘World Wildlife Fund.’ He is married to Kim Sears and the couple has a daughter. 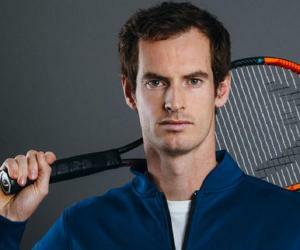 Murray was born on May 15, 1987, in Glasgow, Scotland to Judy (née Erskine) and William Murray. He grew up in Dunblane in central Scotland. His mother Judy, a former competitive tennis player and a coach, trained his older brother Jamie and Murray from the age of 3. He played first competitive tournament at 5 and was competing with adults at the age of 8. In 1996, Murray witnessed a tragedy when an armed person, Thomas Hamilton, entered the ‘Dunblane Primary School’ and shot 16 students and a teacher and then shot himself. Murray escaped by hiding in a classroom. In his autobiography he has mentioned that he had attended a youth group conducted by Hamilton. His parents divorced when he was 10. His mother coached him till the age of 12 and later he left for Spain to train on clay court. In Barcelona, Spain, he studied at ‘Schiller International School’ and trained under Coach Pato Alvarez at ‘Sanchez-Casal Academy.’ Earlier he was interested in football and was offered training with ‘Ranger Football Club’ when he was 15, but declined to concentrate on tennis. In 2007 he won a second ‘SAP Open’ as well as ‘St. Petersburg Open’ and made it to the ‘Top 10.’ He defeated the Spanish champion Rafael Nadal in the semifinals of 2008 ‘US Open,’ but lost the finals to Federer. His rise to the top was not smooth or straightforward. In April 2007 he reached the ‘Top 10’ and then ‘Top 4’ in 2009. But he faced difficulties against the top 3 of that time – Roger Federer, Rafael Nadal and Novok Djokovic. Between 2008 and 2012, he lost 4 Grand Slam finals. He reached the 2012 ‘Wimbledon’ finals but lost to Federer, for whom it was his 7th ‘Wimbledon’ win. In 2013 he lost the ‘Australian Open’ to Djokovic. 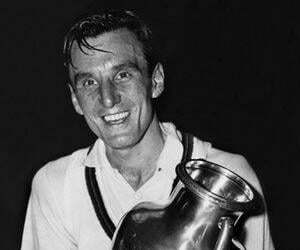 In July 2013, Murray became the first British in 77 years (after Fred Perry in 1936) to win ‘Men’s Singles Title’ at ‘Wimbledon’ by defeating Novak Djokovic. Murray was the second Scottish-born to win ‘Wimbledon’ since Harold Mahony in 1896. Murray lost the 2013 ‘US Open’ quarterfinals, and in September 2013, after the ‘Davis Cup’ he decided to go through surgery for his recurrent back problem. 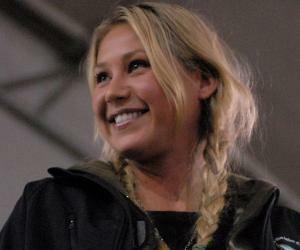 It reflected on his tennis performance during 2014, which remained uneven. In March 2015, he recorded his 500th career victory at ‘Miami Open.’ He reached his 4th ‘Australian Open’ finals but couldn’t win the title. He lost the 2015 ‘French Open’ to Djokovic, then made it to the ‘Wimbledon’ semifinals, but was beaten by Federer. He couldn’t make it to the ‘US Open’ finals, and thus didn’t claim any major title in 2015. In June 2014, he replaced Ivan Lendl with Amélie Mauresmo, a winner of two ‘Grand Slam Tournaments,’ as his coach. He is one of the few top men players who has hired a female coach. In February 2016, he appointed Jamie Delgado as his assistant coach. Murray lost the 2016 ‘Australian Open’ to Djokovic, but defeated him in the ‘Italian Open’ in May. The same year, he reached the ‘French Open’ semifinals (first British player to reach the ‘French Open’ finals since 1937), but lost to Djokovic. 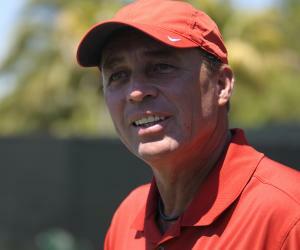 In June 2016, Ivan Lendl agreed to return as his coach. Murray claimed his second ‘Wimbledon Men’s Singles’ title by defeating Milos Raonic in straight sets in July 2016. He won his second ‘Olympic Gold Medal’ by beating Juan Martin del Potro in men’s singles tournament at ‘Rio de Janeiro Olympic Games’ in August 2016. He is the first male player to successfully defend his ‘Olympic Tennis Singles’ title. Murray was honored with a ‘Knight Bachelor’ in the 2017 New Year Honors list. He was awarded the ‘BBC Sports Personality of the Year Award’ for a record 3 times. His impressive career record shows 655 wins and 184 losses and has won total 45 titles. He reached his career’s highest ranking of No. 1 on November 7, 2016. Murray met Kim Sears, daughter of player and coach Nigel Sears, during the 2005 ‘US Open.’ He married her on April 11, 2015 at ‘Dunblane Cathedral.’ They have a daughter, Sophia, and live in Oxshott, Surrey. He is global ambassador for ‘World Wildlife Fund.’ He is founding member of ‘Malaria No More UK’ and plays charity tournaments for fund-raising. He was born with bipartite patella, which means his kneecap bones are not fused, but are two separate bones. This condition was diagnosed when he was 16 and sometimes he has pulled out of matches because of this knee issue.